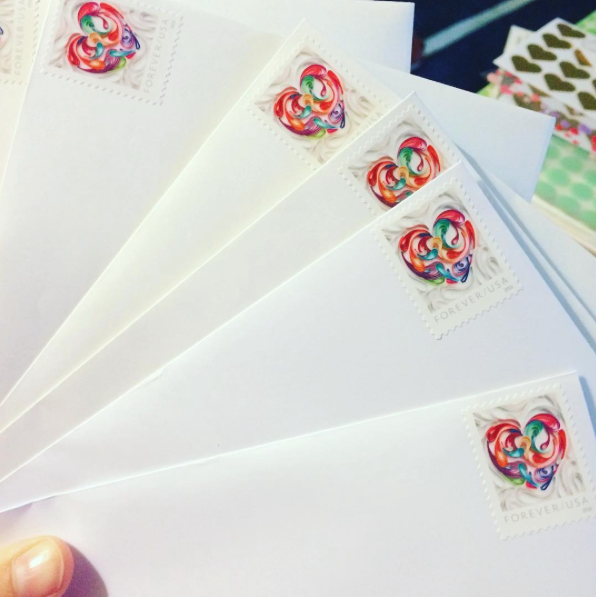 The Spinsterhood Diaries: Don't Forget To Mail! Today's post is just a public service announcement for all you snail-mailing spinsters. I've mailed the first half of my valentines today, and I suggest you do the same. You may want to mail the rest tomorrow and Monday to make sure they get there on time! In the photo above you can see the special heart forever stamps I got at the post office. I bought forty, so I may mail forty valentines. We shall see! I hope your Saturday is excellent! Make sure to send that mail!